This is the last post of the holiday and covers another item from the 100 List. We’ve managed 6 so far, leaving 94 to go. 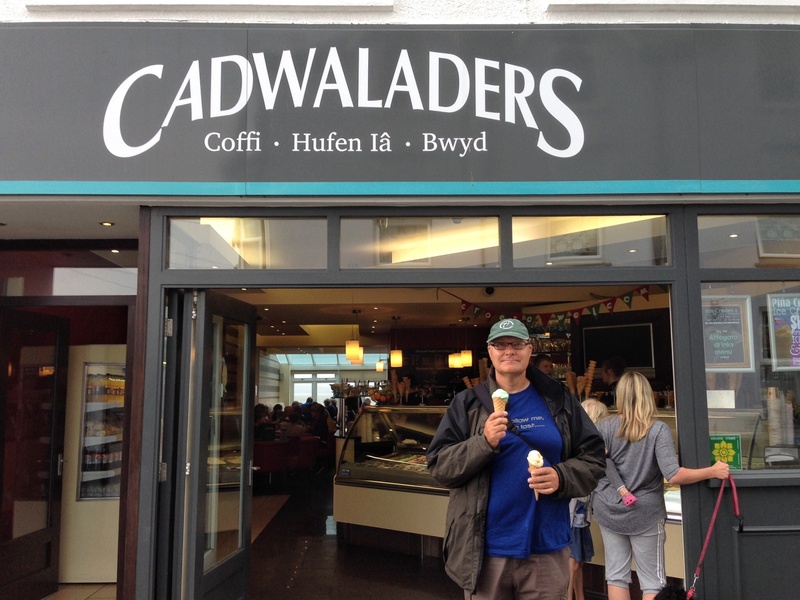 After we had finished at Nant Gwrtheyrn we drove South to Criccieth to have an ice cream at Cadwaladers. Now I like ice cream so this was one to leave for last. Unfortunately the weather was not great and it started to rain when we arrived. That I wasn’t going to let that stop us. 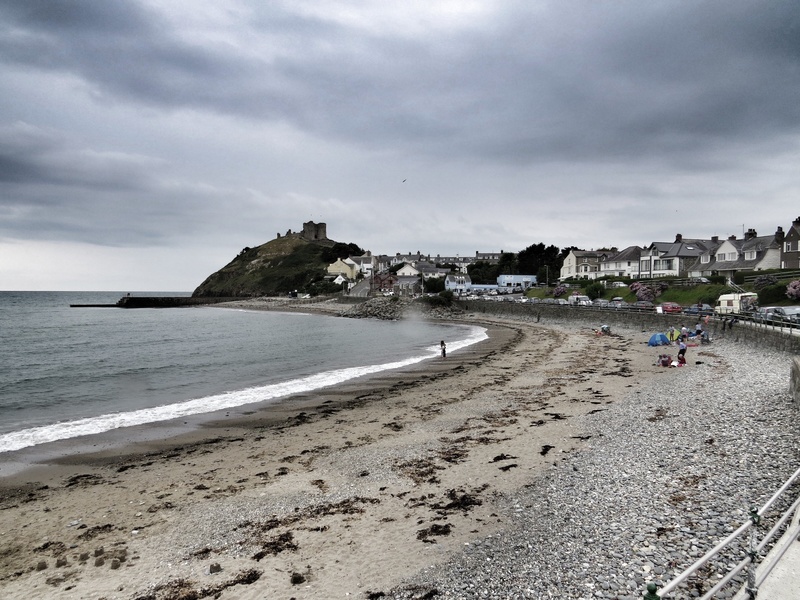 My grandfather was born and brought up in Criccieth so we’ve been here more than a few times before. On the surface it still looks to be a prosperous town, the houses are still well maintained, but the shops are looking a little dowdy now, and at least two of the pubs were closed, with another one not serving food as their chef had left. 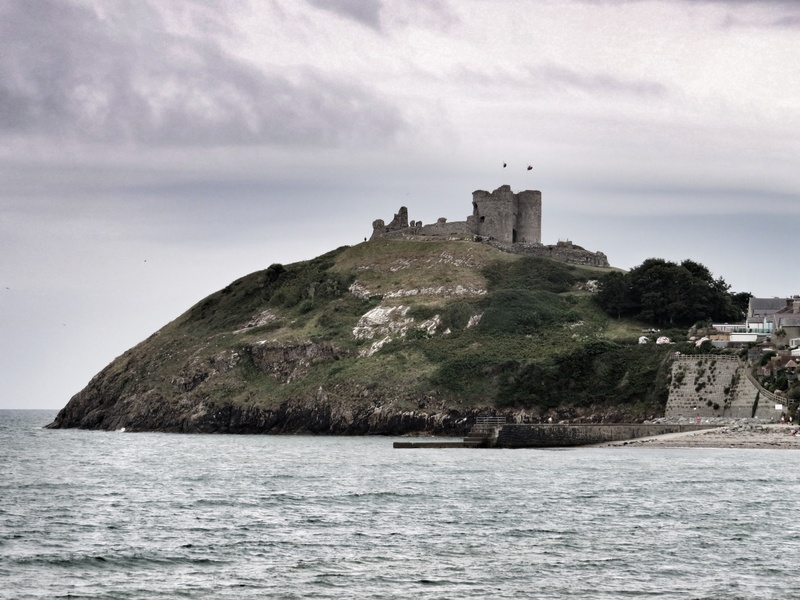 The main draw in Criccieth is the castle – yes another one, and there are hundreds more. One thing we have lots of in Wales is castles. Originally a Welsh built castle, captured by the English then destroyed by the Welsh. The castle was built originally by Llywelyn the Great, this very Welsh of princes included a very English style of gatehouse. Edward I’s English forces took the castle some 50 years later, undertook their own improvements and remodelled a tower for stone-throwing engines. There used to be a row of cottages underneath the castle, but these were destroyed in a storm. The Castle may have given the name to the town rather than the other way round. Its suggested origins are ‘crug caeth’ – ‘crug’ (hill in Welsh), ‘caith’ (captives) – the name given to the jail on the hill, a function once held by the castle. Criccieth also has a lifeboat station manned by volunteers that give up their time to save others at sea. 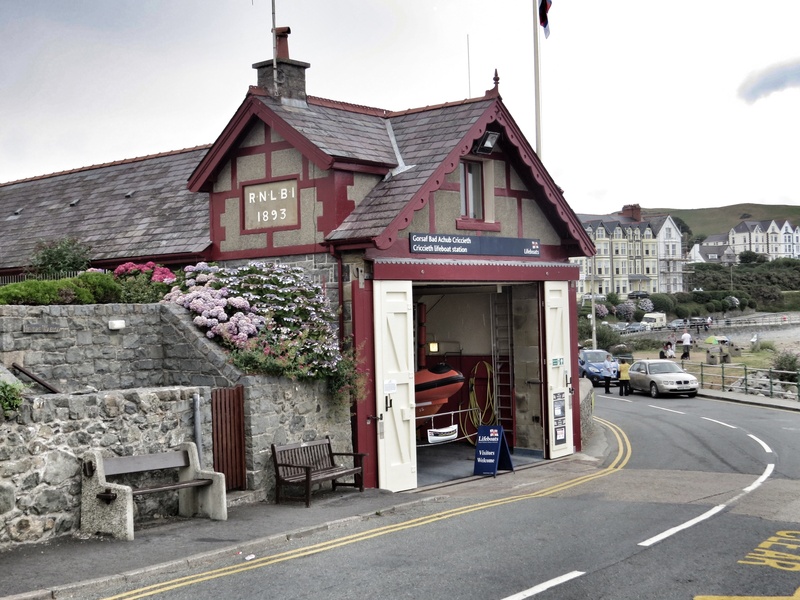 The present lifeboat is still housed in the boat house built in 1893. The lifeboat crews have been involved in a number of dramatic call outs over the years. So what about the ice cream. Well Cadwaladers has more flavours than you can shake a stick it. But for me it had to be mint chocolate chip! And before there are any comments the second ice cream belongs to Aunty! It’s now back to work next week for us both. It’s been a great week, packed and fun. Days of glorious sunshine, with only two short days of rain. A small area of Wales that I didn’t know very well, but we would certainly visit again. There’s more to see. Fantastic! Too spooky for words Paul! Started following Miss Apis Mellifera only to find she is following you. Blimey either it’s a small world or you’re mega famous – you choose which! No I take that back, well, it might be a small world and you still might be mega famous – but I thought I was still on Apis Mellifera’s blog but WordPress had flipped to Jane’s account. Previous Previous post: Nant Gwrtheryn: 100 Things to Do in Wales.